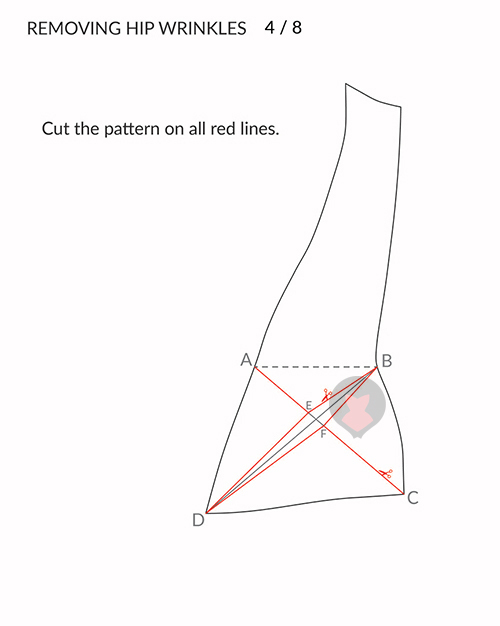 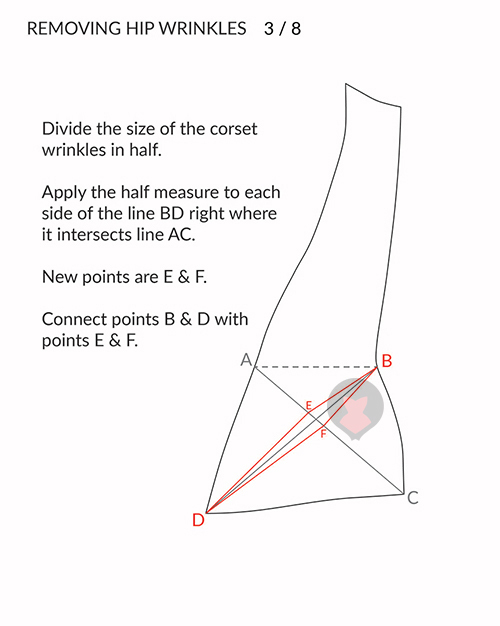 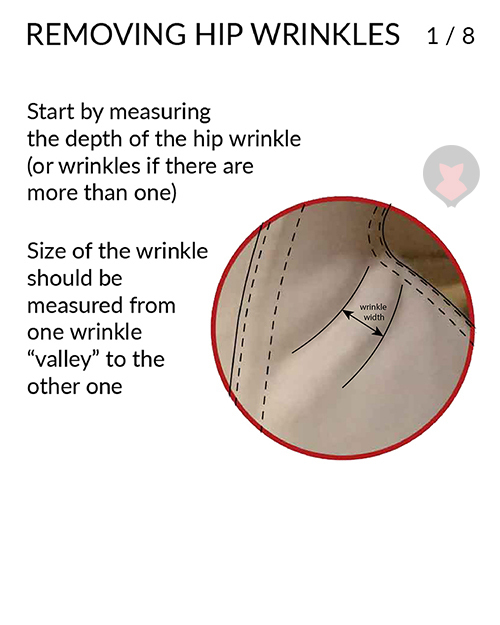 Due to the characteristic extreme side seam curve on (mostly) modern corset patterns, directional wrinkles in the fabric have a tendency to show up. 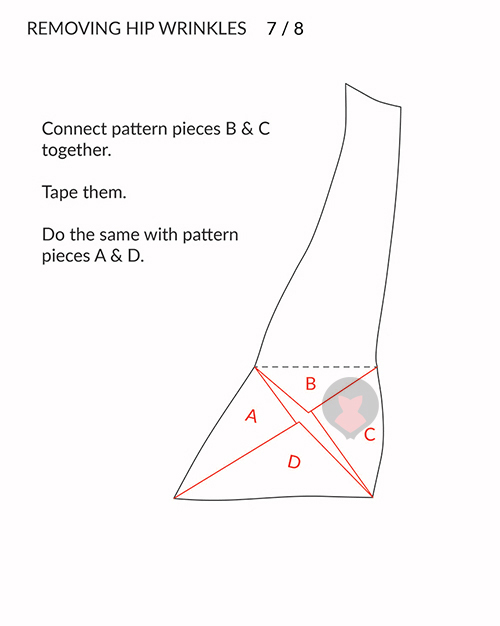 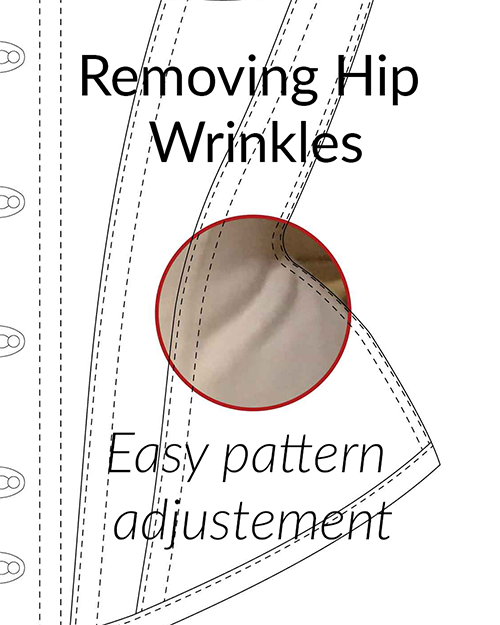 While most wrinkling can be solved by adding more boning, there is the option of manipulating the pattern piece to minimize the pull on the fabric on the problematic pattern piece itself. 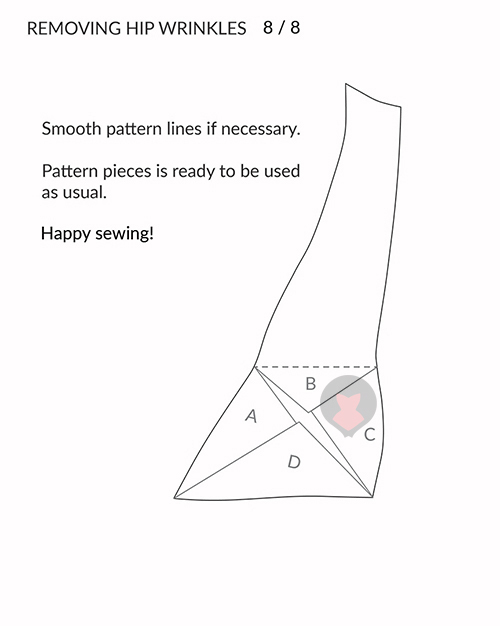 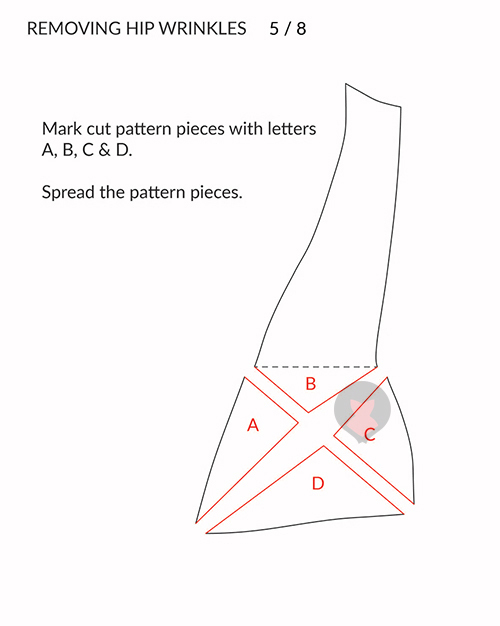 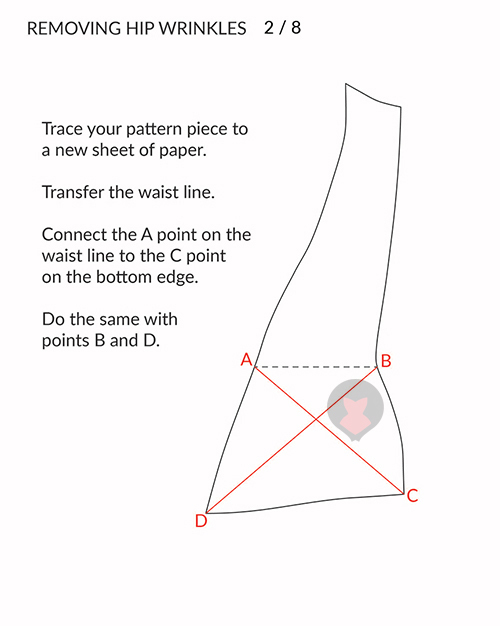 Method is demonstrated on the front side piece of Underbust corset pattern SONYA though the same principle can be applied to any other corset pattern.